Although WordPress.org brags about a quick 5 minute install, it does take a bit more to make your blog really perform. And don’t forget the search engines. 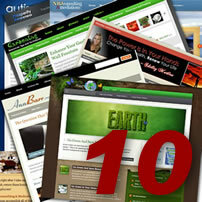 You will want your blog to be loved by all search engines (to help you get visitors). You will also want it to be loved by your readers. It takes a little bit of work to accomplish both goals at the same time. I have setup more than 100 blogs to date, and have successfully gotten each one on Google’s first page for certain keywords. Some within a matter of minutes after a new post. So, if you have decided to get a blog and have selected WordPress.org, let me help you get up and running in short order. Let me install WordPress software, add the plugins, install the theme, tweak the blog settings and get it optimized for you. I will even tweak the theme to make it your own personality. (Colors, font’s, even images all work together to express the real *you*). Now, because there are so many varying skill levels with WordPress, as well as different desires when it comes to what you intend to do with your WordPress Blog Installation, I felt it was important to build packages that could to meet everyone’s needs. Please Note: Once payment is complete, you will be redirected to a page where you can send me your name, email address, phone number and other information we will need to get started. This step is VERY important. These are just the highlights, but should give you an idea of what I am offering. 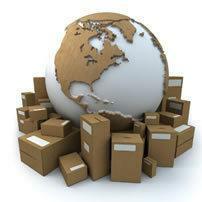 If you do it yourself (first time), it will take you about 2 weeks to get it up and running and Search Engine Optimized. And if that’s really the way you want to go, I applaud you! 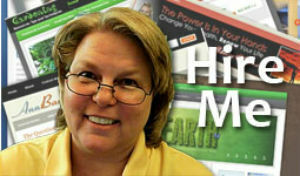 In fact, let me point you to a video that will help you learn how to install WordPress yourself. Drop back by in a couple of weeks, and let me know how it’s going for you. 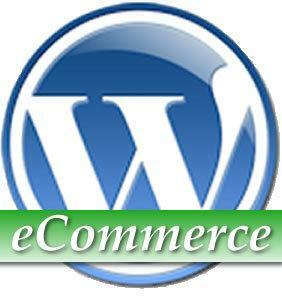 eCommerce shopping cart (WooCommerce, Shopp, eStore or Wp Cart). Theme modifications to display products. Insertion of up to 10 products to be used as samples. 2 hours of one on one training. Move each page from your old site to your newly installed WordPress blog. You will use this option after all pages have been moved. Enter the number of pages as the quantity. You must have purchased one of my WordPress installation packages to qualify for this service. 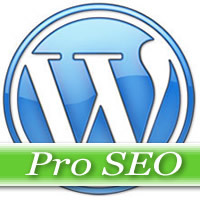 Optimized each page or post on your WordPress blog for a one Primary and one Secondary keyword. You will use this option after all pages (or posts) have been optimized. You will enter the number of pages as the quantity. Move and optimized each page or post on your WordPress blog for a one Primary and one Secondary keyword. You will use this option after all pages (or posts) have been optimized. You will enter the number of pages as the quantity. Creation of blog database on your hosting MySQL server, and installation of latest WordPress.org version. 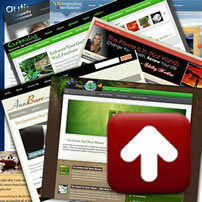 This also includes manual upgrades of WordPress software and all available plugins on existing blogs. Use this option to help get your blog found by the search engines. Includes: Edits to theme to make search engine compliant and installation of either WordPress SEO by Yoast or All In One SEO plugin and completion of settings for maximum SEO value and benefit. Includes: Installation and Configuration of Firestats (visitor inbound tracking), Psychic Search (visitor onsite navigation tracking), Slimstat (detailed historical views) and Google Analytics. 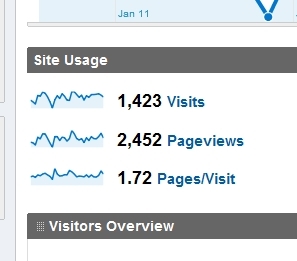 Setup of Google Analytics in blog (and Google profile if required). As a part of the service (a major part in fact), I offer theme customizations to help the blog fit your personality, goals, and target market. I can customize any theme to make it more you. Color, fonts and images. Layout. Add in new features or display elements. Marketing a product and want to highlight it on your site without disrupting the flow of information? Want to add more advertising space? Want to rearrange your blog so your content is highlighted rather than just hanging out there? I will work with you to get your blog looking exactly like you want, doing exactly what you want, and with a minimum of fuss. Custom Theme Modifications: Use this option if you have a few small changes you want to make to your WordPress blog theme like fonts, colors, logos, etc. You may use up to 5 hours time. This is the standard amount of time a normal new installation takes to get *dialed in* to your specifications. 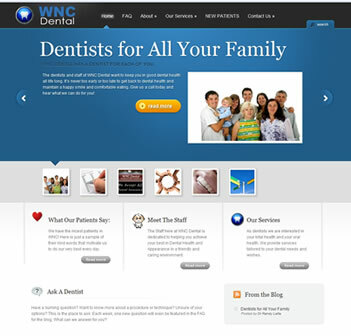 This includes custom logo placement, fonts, colors and rearranging or adding elements. Use this option for more advanced or extensive theme customizations. 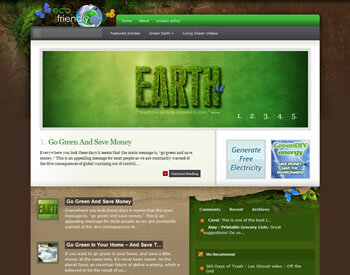 This includes adding new features, custom logo placement, fonts, colors and rearranging or adding elements. No refund for unused time. I subscribe to the belief that a picture is worth a thousand words, and God knows you don’t have time to read a thousand words. You are looking for a solution. 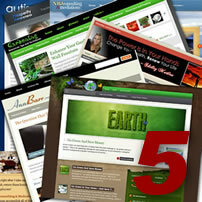 These are the most recent of the WordPress Blog Installations I have tweaked, installed or customized. The brief description doesn’t really fully explain what all was done, but each site was exactly what the client asked for. Please note, you can click on any thumbnail image of the sample, and have it enlarge. Once enlarged, you can scrolled through all the images by clicking on the large image LEFT SIDE to scroll backwards, or RIGHT SIDE to scroll forward. You may also click the link for each, and visit the actual live site. Dentist and business man Dr Randy Latta was looking to showcase his new modern office space, his extended staff and new family centric practice. The theme he choose highlights all the special service features he offers while still allowing him to attract the search engines with newly minted content on his blog. Customizations: Custom image for header, changes to the navigation methods to allow the blog entries to be featured as heavily as the pages, tabbed areas, edits to theme to allow editing posts and pages without the need to go to the dashboard first, edits to the CSS to change fonts and colors. 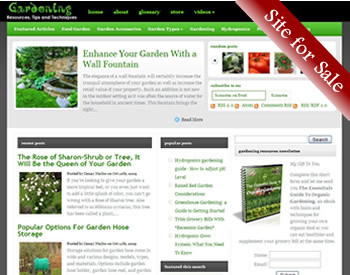 Gardening is a popular niche market and this blog stands out within that niche. 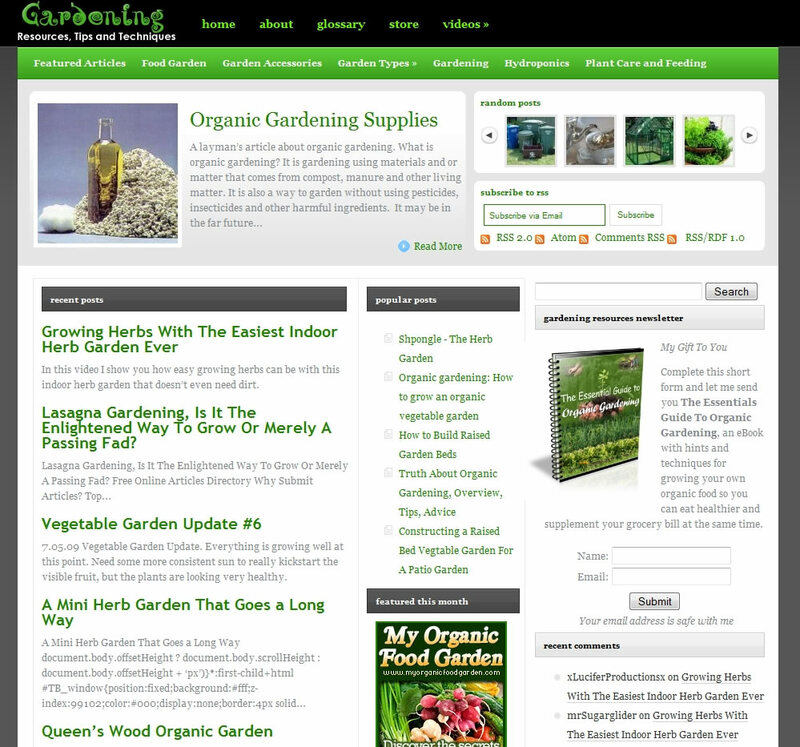 To match the topic of gardening, a custom header with vine like script was created and colors matched to the navigation bars. Customizations: Custom image for header, edits to theme to allow editing posts and pages without the need to go to the dashboard first, sizing of the thumbnails, edits to the CSS to change fonts and colors. While a lot depends on the theme you choose, and we can certainly recommend some of the best themes out there, having your message match your theme and vice versa goes a long way to promoting the image you want. 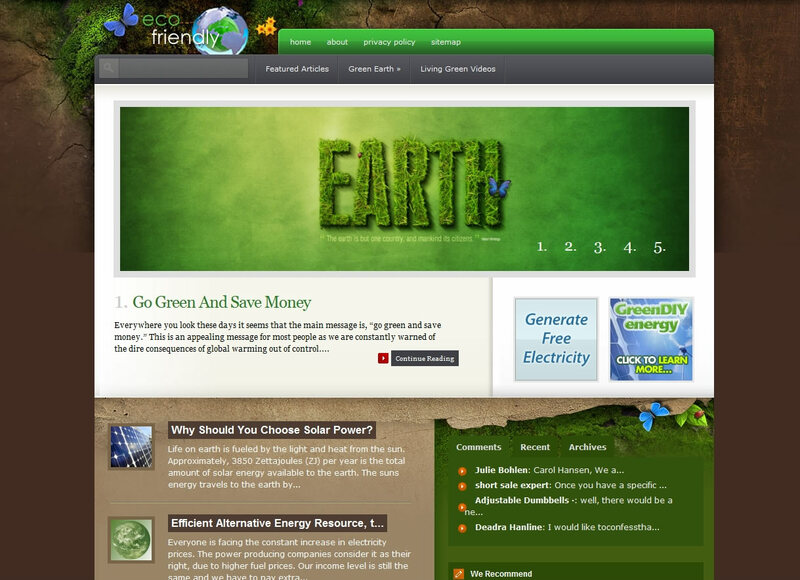 This site is all about living Green so a custom header image was created and the overall appearance shaped to support that vision. 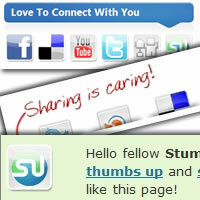 Want me to give you a quote based on your current theme, customizations needed? Then drop me a line. Please be sure to include your current web address, theme of choice and a brief overview of the changes you want to make. Or, you can get started right away by selecting one of the pre-built options. 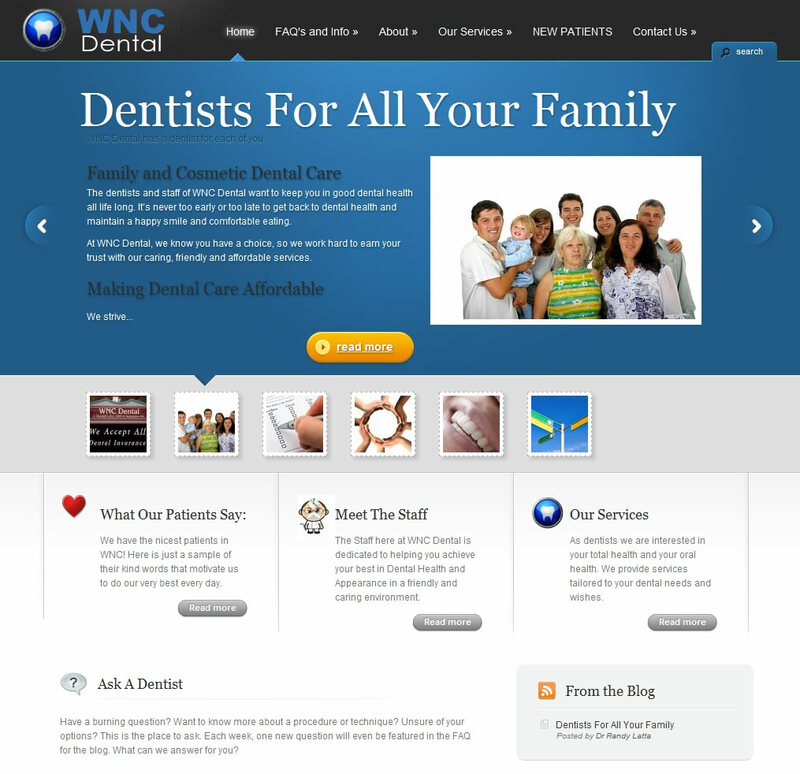 WordPress theme customizations include up to 15 hours of tweaks. Beyond that, we can work something out. Be organized and specific and we can get it all done in that 15 hours. What’s two weeks of your time worth to you? 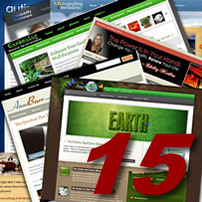 Do you want to learn about plugin installation, theme modifications, MySQL, PHP, HTML and CSS? Want to know what a nofollow tag is? 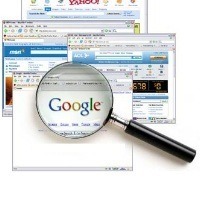 Or how to prevent Google from indexing pages you don’t want, and do index pages you do want? And all this before you begin adding your content? The complete WordPress Blog Installation, customization and search engine optimization is only $825 with me and not only will you be up and running within 24-48 hours of purchasing your domain (and hosting), but you will get 6 full months of upgrades, advice, support, personalized and a Search Engine Optimized blog. Don’t know what a hosting account is or don’t want one? I can host your blog for $5 a month. Please contact me for private details on this option. Cenay not only has extensive technical knowledge (and patience) but also a talent for marketing. It has been my experience that really good technical and marketing skills are not usually found in one person, but she has both. Cenay under promises and over delivers; definitely goes the extra mile. 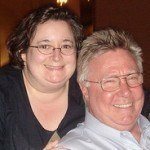 The blog she created for my business is what I was hoping for. Just wish I had found Cenay five years ago! Cenay has helped us tweak several of our blogs. Most reach PR1 and PR2 in just a couple months with some help from her SEO skills. Cenay is a God send to me. I have learned so much from her…. yet it is just a drop in the bucket. 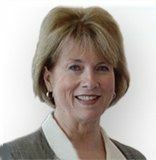 She is a wealth of computer knowledge and teaches in such a calm, assertive way. She never gives up on me even when I ask the same question a gazillion times. I wish I could clone her and set her in my office. Don’t delay, my schedule fills up fast. Choose one of the WordPress Blog Installation options from above and let’s get started building your site, your brand and your business.